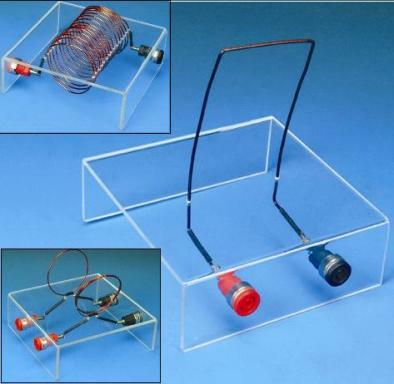 A set of 3 perspex-mounted wire arrangements designed to demonstrate the electromagnetic fields generated by a current passing through a conductor. 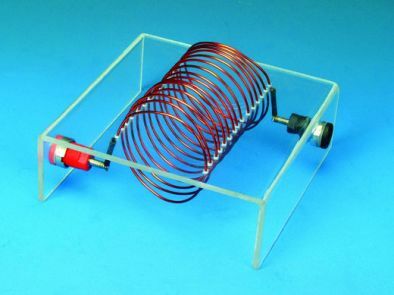 A rectangular loop of wire 1.5mm diameter capable of carrying a maximum 8A current. Either sprinkled iron filings or a plotting compass is placed around the vertical wire to show the magnetic field emitted around a current carrying wire. 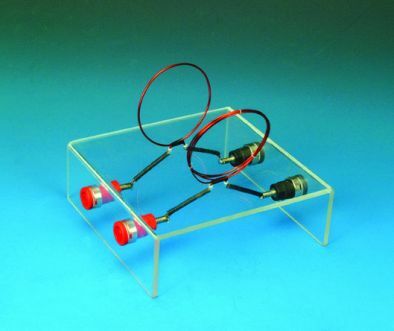 Both coils have a 62mm diameter of 1.5mm copper wire. The single turn will take 8A and the 5 turn is restricted to 5A. 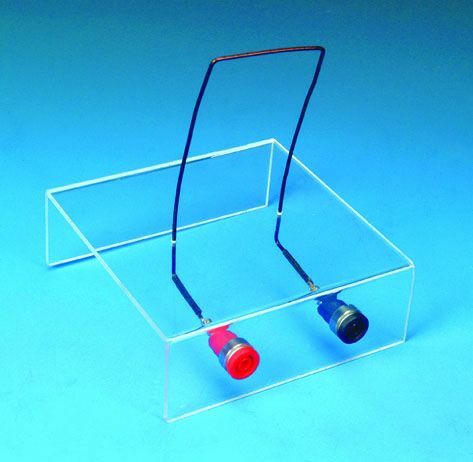 Consists of 14 turns of 1.5mm diameter copper wire open wound on a clear base. Coil 51mm diameter x 92mm length.